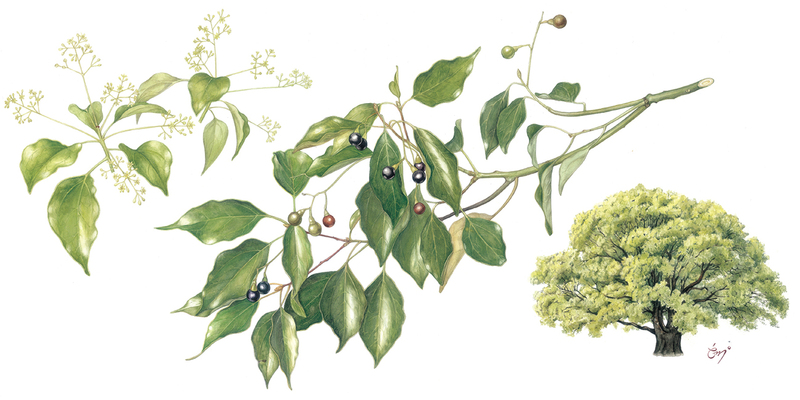 Cinnamomum camphora (2012). Watercolor by Hye Woo Shin, featured artist in The Colors of Dawn: Twentieth Century Korean Poetry (MĀNOA 27-2). MĀNOA is a unique, award-winning literary journal that includes American and international fiction, poetry, artwork, and essays of current cultural or literary interest. Beautifully produced, MĀNOA presents traditional alongside contemporary writings from the entire Pacific Rim, one of the world’s most dynamic literary regions. Single issue sales and annual subscriptions for both individuals and institutions are available here. The writing published in MĀNOA is selected by guest editors and translators. However, you may query MĀNOA‘s editors using the form here. This entry was posted in Manoa. Bookmark the permalink.